Alexis J. Cunningfolk (she/they) is an intersectional herbalist, witch, and weaver of remedies at Worts + Cunning Apothecary. She helps folks radically re-enchant their lives through herbal medicine and magickal arts. As a queer nonbinary womxn of mxd heritage, they revel in the powerful intersections of ancestral wisdom, social justice, and plant healing. Rooted in homecoming, Alexis’ work seeks to break the spell of fractured-ness brought on through personal, cultural, and institutional displacement and denial, helping those she serves return again to a place of self-worth and desire. First introduced to tarot at the age of twelve, they knew that this small deck of cards could serve as a gateway for magickal craft, inner exploration, and a lot of deep nerdery. She taught her first tarot class at 19and the tarot remains one of their favorite subjects to write and talk about. 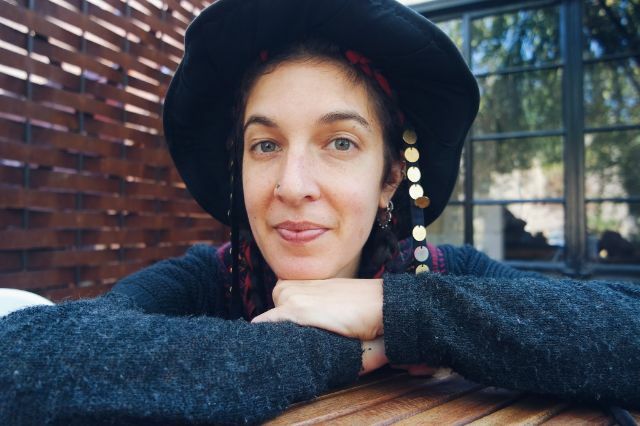 Based in Northern CA, she offers online and in-person classes, including The Lunar Apothecary and The Tarot Apothecary, as well as free resources on her blog and magickal insight through her newsletter. You’ll find Alexis most often on instagram, taking photos of tea and waxing poetically about life as a witch.